I wish I could find glass like this from a simple walk on the beach. 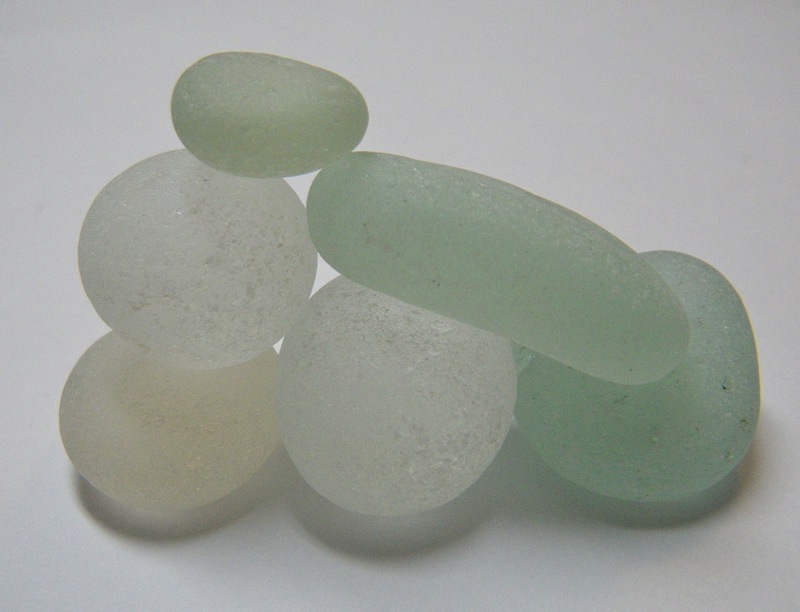 Thick, rounded, and well tumbled by sea and rocks; matching the size and shape of the beach rocks I love to collect. But, I might take 4 walks on the beach and only come up with one piece like this in either a white or sea foam green. Most of the glass around here is a spearmint green, or brown, and much thinner, and less well tumbled. None of the pieces in my necklace from yesterday have a smooth rounded shape, even though I’m still happy with how it came out. Check out these beauties. I could look at them for hours. 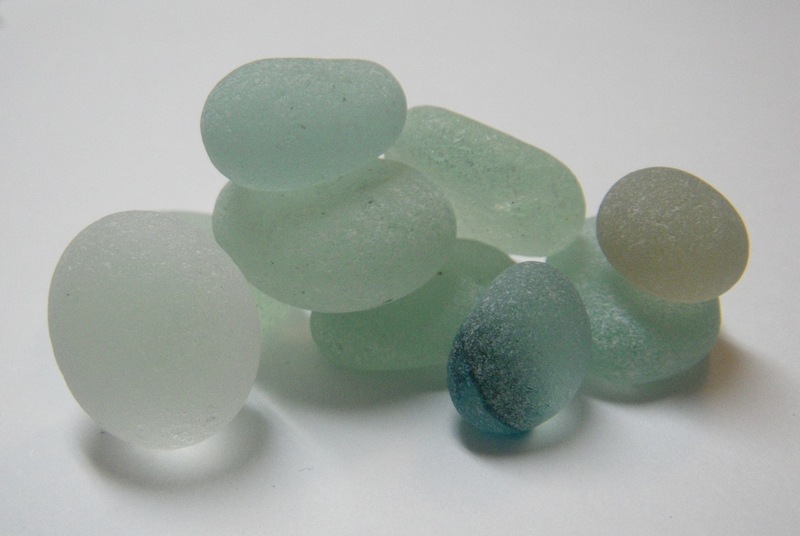 Lucky for me there are collectors in England who have a chance to visit the beaches along the northeast coast, near where old (1800’s) glass bottle factories would collect glass waste at the end of the day and hurl it off the cliffs into the North Sea. Most of these pieces are at least 100 years old. And they are the perfect size, shape and color for some new necklaces I have in mind. Looks like I better order some fresh drill bits and get to work. We are lucky to live on the coast, but we are on the Irish Sea. We are always down on the beach with the dog & the children, it can be so wild down there sometimes! My daughter & I have started beach- combing for drift wood after particularly high tides & winds. Ooooooooooo. I can’t wait to see what you do with them! They are so lovely. I know. They’re so pretty. I want to get to work right away, but first a trip to baltimore to see our son and daughter-in-law, and my sister and brother-in-law. It’s all good! purty! will you butcher’s wax these? Definitely NO Butcher’s wax. I think it would take away from the natural “frosting” that occurs from so many years of tumbling around in the sea. I can’t explain what a profound connection I feel when I look at and hold these pieces of glass. It’s a little bizarre, but it’s really strong…. 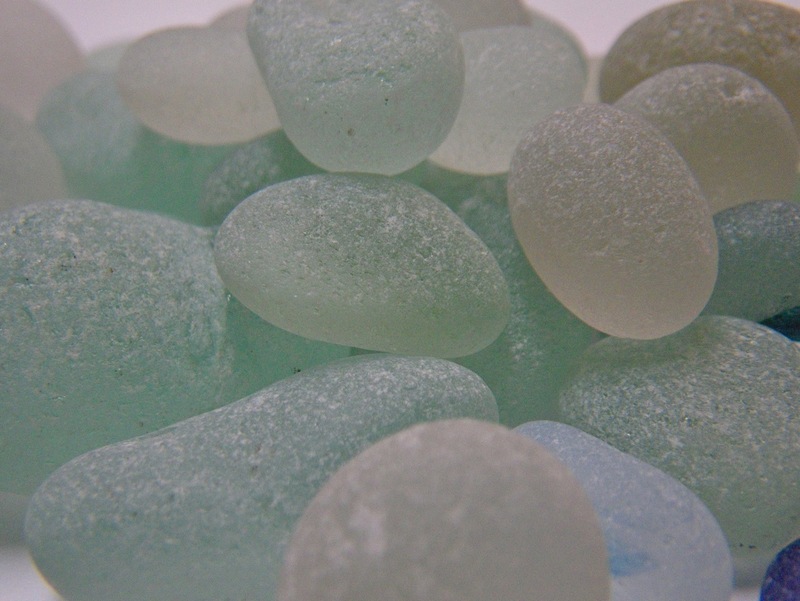 I understand the pull you feel from sea glass – I feel it too! These pieces are so beautiful!